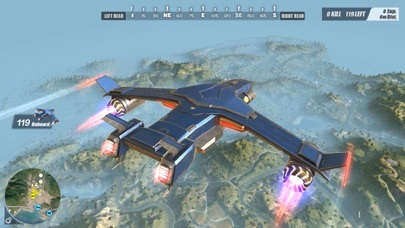 Rules of Survival is a FREE to play third player shooter battle royale game featuring adrenaline-pumping action and optimized for MOBILE gamers! This is not a game. You are writing RULES OF SURVIVAL! Yes the game has totally changed and the whole interface and graphics has changed, it is totally awesome. The recent update is pretty awesome and I think that the devs can work step higher by adding some action functions and which they did a pretty good job. Now all they have to do is work on melee action like maybe add some knife or if players decide to go stealth approach they can takedown enemies using quiet method, but yeah overall it is a great game this update and the whole experience of this app packed in one punch for the smartphone is a truly a remarkable program that puts players in a whole new perspective and experience. Thank you so much dev team and looking forward to your advanced updates and more actions that players could enjoy. Thank you so much guys keep up what you do. Thanks!